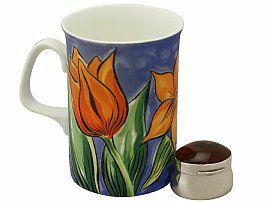 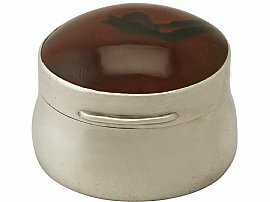 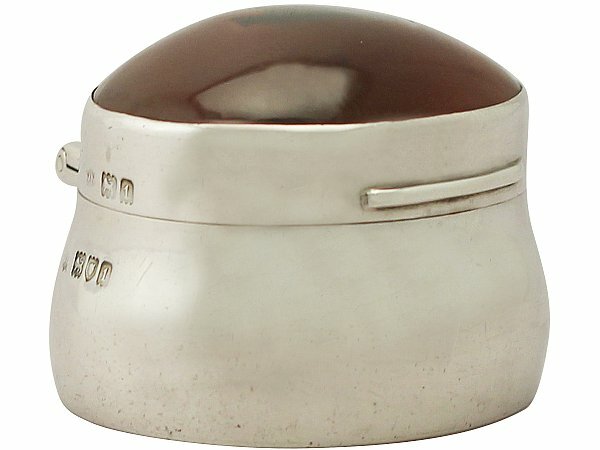 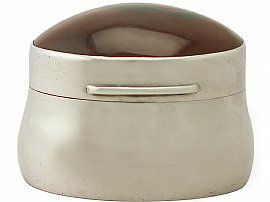 This antique Edwardian sterling silver and hardstone box has a plain oval rounded form. 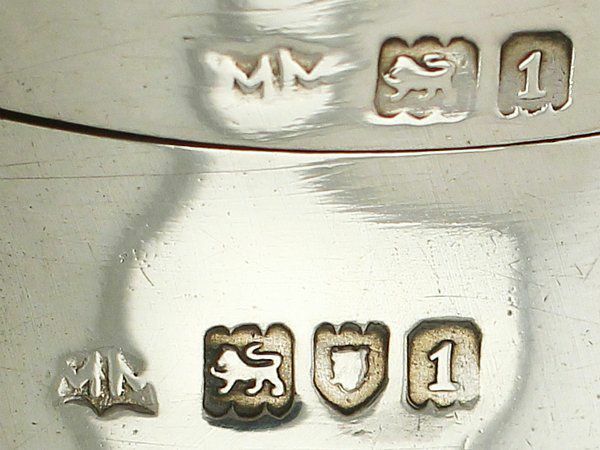 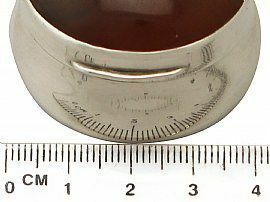 The surface of this small silver box is plain and unembellished, apart from the feature hallmarks. 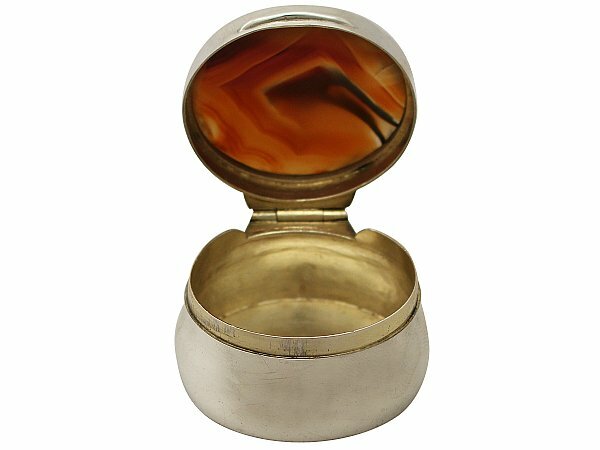 The hallmarked hinged cover features a fine and impressive cabochon hardstone; the cover is translucent in light*. This impressive antique silver pill box box retains the original gilt interior. 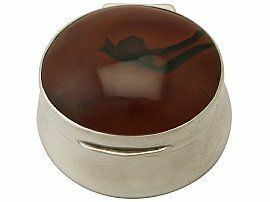 * The natural aesthetic depth of the hardstone is not truly reproduced in the images. 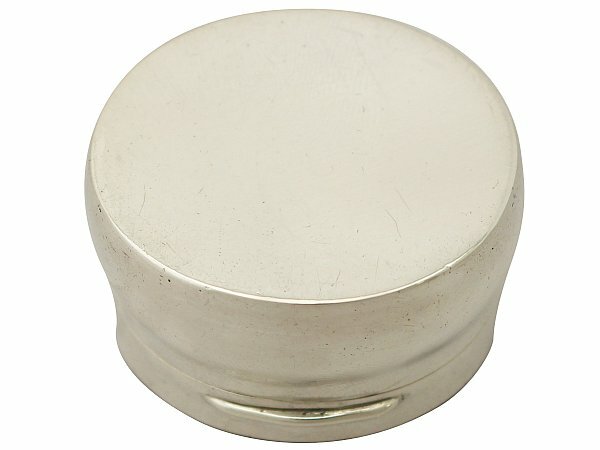 This small silver box is a very good gauge of silver, fine quality and in excellent presentation condition. 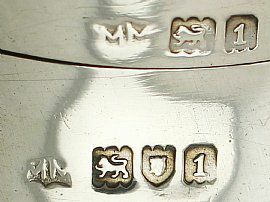 Full hallmarks struck to the surface of the body and part hallmarks to the cover are all very clear; the maker's marks have wear in keeping with age and location.